Add majestic greenery to your garden with Sum and Substance—the perfect hosta to plant next to bold bursts of color. 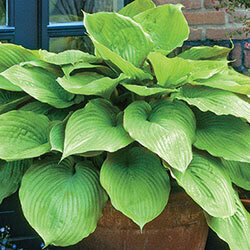 This gigantic hosta with its soft green color and heart-shaped leaves spanning 1' or more is a visual delight! Try this beauty in a container for the deck or patio. Just make sure you give this rapid grower plenty of room to accommodate its enormous size! Planting Instructions: Very shade tolerant plants that enjoy moist, humus-rich soil. Morning sun with afternoon shade is the best location. 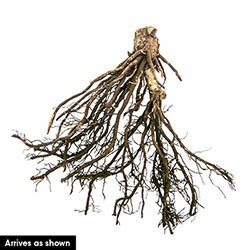 Soil Requirements: Tolerant of a wide range of soils, but best if evenly moist and well-drained.